As a young child, Makepeace Danners was sent by her mother to sleep in the graveyard. Told it was to build her defences against the spirits that lurked there, she spent night after night bedded down amongst the ghosts, with only mice and rats for company. As she grew older, Makepeace realised that she had a strange talent. There is a space inside her which can be filled by the spirits of the dead. This talent marks her as very interesting to the Felmotte family, the rich and powerful ancestors from whom she has inherited it. Her mother hopes her childhood training will protect her from them, but one fateful day Makepeace lets her guard down, and now she has a spirit inside her. The spirit is wild, brutish and strong, and it may be her only defence when the Felmotte family come to claim her as one of their own. There is talk of civil war, and they need people with talents such as hers to protect their dark and terrible family secret. 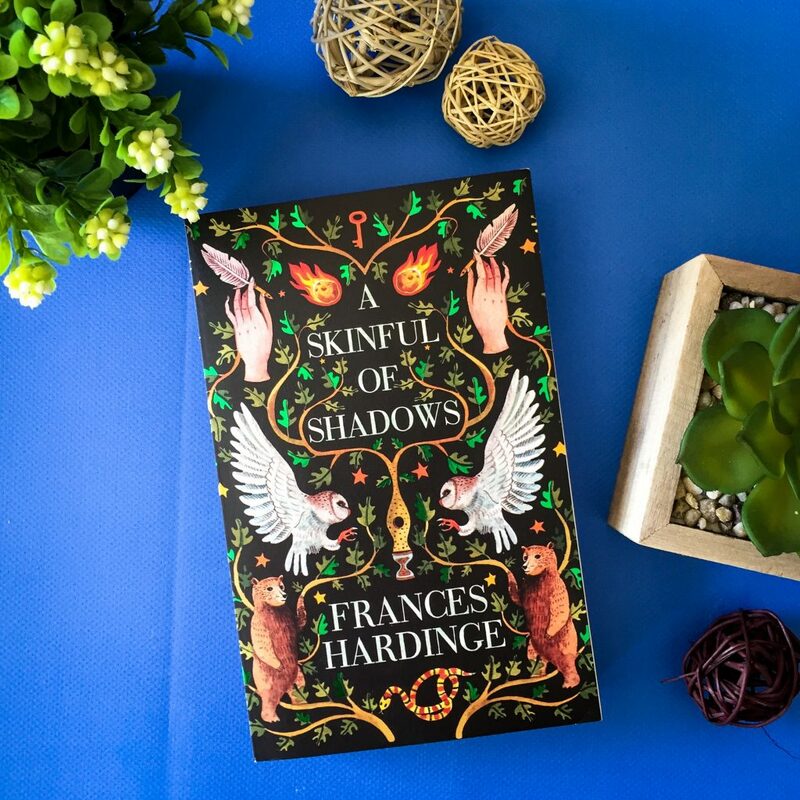 Frances Hardinge’s A Skinful of Shadows is a strange and mysterious novel set during the English civil war, filled with magic and adventure. The novel’s protagonist, Makepeace, is the illegitimate daughter of the aristocratic Fellmotte family. Growing up, she never knew anything about her father. Her mother fled from the family and has been living a secret life for as long as Makepeace can remember. Unbeknownst to Makepeace, she shares the Fellmotte’s supernatural gift of being able to hide ghosts inside her mind. As Makepeace descended again, past the silent children and the chandler’s wife, she was sure she must look guilty. The sour-faced woman gave her a searching look. ‘Still alive, is he?’ she asked with slight disdain. ‘Sinking, I think,’ said Makepeace. ‘You don’t look too good yourself.’ The woman narrowed her eyes, suspicious, and withdrew a step. When the ghost of a wild, angry bear unwillingly seeks refuge inside Makepeace’s mind, it causes havoc. She starts to lose track of her whereabouts. Her remaining family are unable to cope with the monster inside of her, so they track down the Fellmotes and Makepeace lives with them for a time. Their unique ability – to catch ghosts and absorb them into their own minds – scares Makepeace because it’s clear that the Fellmottes don’t have good intentions and they frighten all who are around them. Makespeace is bold, brave and resourceful. She has been born into a family that wants to constrict her, and she soon realises that she wants something different. 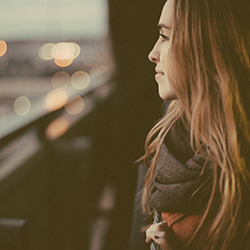 She trusts her instincts and does what she thinks is right, and is quite intelligent. For young children, I imagine she’d be a fantastic role model when reading this book. Makepeace heard her own yell become more guttural, a long, open-throated roar. And now her face was pressing against the bars with bruising force, squirming, trying to force its way through. Her vision was marked by black spots. Ultimately, this book is about a young girl’s quest to shape her own destiny. The book is incredibly well-written, with rich description and detailed imagery and flowing prose that is a joy to read. A great oaken throne placed near the hearth was clearly intended for the lord of the manor, but neither Lord Fellomotte nor Sir Thomas was in evidence. Instead it was occupied by Symond, who seemed to be revelling in his lordly role. Despite this, I did have to force myself to finish the book. It’s over 400 pages and the plot moves quite quickly and I found it really difficult to connect with Makepeace. I often found myself quite lost in the plot and I wasn’t sure what was happening. In the end, I skimmed the last hundred pages just to finish. I think this is a fun book, but it would definitely be for sophisticated child readers. Kids who don’t read much or who don’t enjoy reading probably aren’t going to stick with this book (like I almost didn’t). Suitable for children aged 12-15. Thank you to the publisher for sending me a copy of the book in exchange for an honest review.